In short: An international collaborative study has identified the molecular mechanism behind lithium’s effectiveness in treating bipolar disorder patients. This may support the development of a diagnostic test for the disorder as well as predict the likelihood of patient response to lithium treatment. It may also provide the basis to discover new drugs that are safer and more effective than lithium. 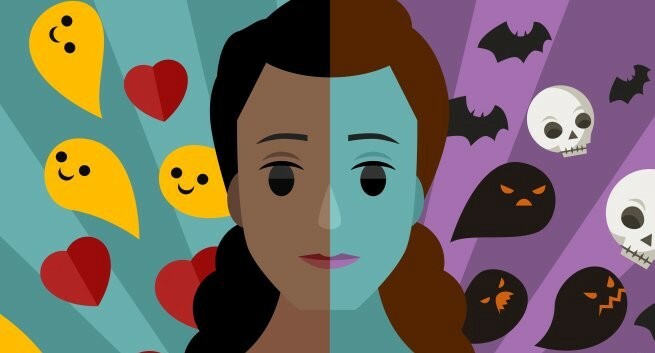 Bipolar disorder, a mental health condition that causes extreme mood swings, is the sixth leading cause of disability in the world. It affects about 5.7 million Americans, or 2.6% of the adult population — and there is no cure. That’s a huge unmet patient need. Recognizing this, our research team looked at lithium — the most prescribed drug for the disorder — and made a quantum step toward improving the clinical management of bipolar patients. Treating bipolar patients is a trial-and-error process that can often take months or years of prescribing medication, monitoring side effects, and adjusting dosages before an effective therapy is found. About one-third of bipolar patients respond to lithium but no one has been sure why. Other patients are typically treated with a range of pharmaceuticals that may or may not work, or that may have adverse side effects. Even lithium comes with side effects that can be intolerable — nausea, tremors, emotional numbing, irregular heartbeat, weight gain and birth defects — so much so that some patients stop taking the medicine altogether. Among the many psychiatric disorders that physicians are able to diagnose, bipolar disease comes with a molecular handle. A molecular handle is similar to a detailed road map with specific landmarks. We reasoned that if we could decipher the lithium response pathway for bipolar disorder it would give us a clue to the underlying pathophysiology of the disease and serve as a “molecular can-opener” to unravel the molecular basis of this complex disorder. To be able to do this, we used human induced pluripotent stem cells. Pluripotent stem cells are master cells that can potentially produce any cell or tissue the body needs to repair itself. We generated human induced pluripotent stem cells (hiPS cells) from lithium-responsive and non-responsive patients and by studying these cells, we found that lithium alters the activity state of CRMP2. CRMP2 (Collapsin response mediator protein family) is a protein that regulates neural networks in the brain. CRMP2 is found in both an inactive and active state, and toggles between the two forms. In patients that respond to lithium, the inactive state of CRMP2 is found in much higher levels, but is converted to the active state when the drug is administered, correcting the underlying cause of the disorder. Our research indicates that the set point for the ratio of inactive to active CRMP2 is simply set too high in lithium-responsive bipolar patients. Lithium “re-sets the thermostat” to a normal level. We validated our results in human neurons, mouse models (both histologically and behaviourally) and in actual bipolar human patient brain specimens. This breakthrough means that by assessing the CRMP2 ratio for a given patient we may be able to confirm the diagnosis of bipolar disease and decide whether the patient should be started on lithium (or any modulator of the CRMP2 pathway), and allow the progress of the patient to be followed. Ultimately, finding drugs that alter this pathway would allow us to discover new drugs that are much more selective, safer and less toxic than lithium. We’re extremely excited about this discovery — one of the first significant breakthroughs in mental disorders in recent years. We anticipate that our “molecular can-opener” approach will be used to similarly provide molecular insights into other complex polygenic multi-factorial diseases that warrant better therapies for the millions of affected patients. This article was written by Dr. Evan Snyder, the lead investigator of this research. Evan Snyder is the Director of the Center for Stem Cells and Regenerative Medicine, Sanford Burnham Prebys Medical Discovery Institute. I was able to cure my bipolar disorder with calcium and omega-3 supplements. Omega-3 allows higher blood calcium levels and calcium dampens neuronal excitability. Can you tell more about the way you were able to cure your bipolar disorder. I am requiring this information to find out a way to cure the bipolar disorder of my very close relative who is suffering since 2008. You can reply to my private mail. For calcium I use Nature’s Bounty Calcium Magnesium Zinc with D3 and I take 4 pills a day (1000 mg Ca per pill, they recommend only 3 a day). For Omega-3 I take Nature Made Fish Oil 1200 mg (720 mg Omega-3) and I take 4 pills a day. Sorry – I read the calcium supplement label wrong. The 1000 mg of calcium is per serving of three pills not per pill. You did NOT have bipolar disorder. It is good to take what you are taking, but you should be aware that these results you are having are spedifiers that rule out bipolar. Bipolar meds would be devestating for you to take. Good luck with everything. So I guess now my illness would be classified as a parathyroid gland disorder. Hello I think bipolar disorder begin from daughter or young when the patient can´t sleep, the CRMP2 phosphorizes, and the CRMP2 don´t function very well, and the neuron begin grow up, disorder. The solution i think is take melatonin, because reduce in the night, with dark, the phosphorizes, (also reduce probability of breast cancer). Other things It take Gualfenesin, recomendation of Dr St Amand for fibromyalgia, that reduce phosphate. Why can’t they use stem cells direct into the brain to cure not only bipolar disorder but other brain illnesses including brain cancer? Good day. I wanted to know if there were more discovery to BPD? This entry was posted in Biology, Featured. Bookmark the permalink.